Nowadays, mastering only your mother tongue is not sufficient. Whether we are talking about professional opportunities or personal development, speaking a foreign language is a Must. In this article, we will convince you that learning French is a more than relevant choice for each and everyone ! With, in Europe, Paris, Brussels, Luxembourg, Geneva, in North America Montreal and Quebec and in Africa and in the Middle East; Abidjan, Algiers, Casablanca, Kinshasa, Beirut, Dakar … the list of French-speaking metropolis in the world is impressive, not to mention his exotic overseas capitals : Saint-Denis in Reunion, Cayenne in French Guiana, Papeete in Tahiti, or Noumea in New Caledonia, and many more ! 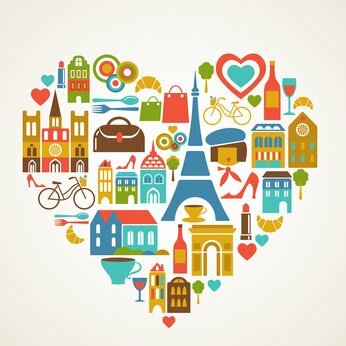 All around the globe, we hear French, not to mention the nearly 2 million French citizens living abroad ! According to the OIF (International Organization of Francophonie), if today 274 million people speak French, by 2050, this figure is expected to triple to reach a whopping 715 million people ! With the population growth and the development of the African continent, the French language is more than ever going at the center of the upcoming international community. Long considered the preferred language of diplomats, French remains widely used in international institutions, since it is both a working language and an official language at the United Nations, UNESCO, NATO, the International Olympic Committee, the International Red Cross and many more ! At the European level, French is common to the three capitals of the European Institutions: Strasbourg, Brussels and Luxembourg. Whether it is the European Court of Human Rights, the two parliaments, the Council of Europe or the European Commission, all these institutions place French at the very heart of their operation. 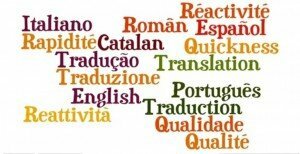 Learning French also facilitates the future learning of latin languages such as Italian, Spanish, Portuguese or Romanian. But not only that : French has indeed many similarities and commonalities with English. An estimated 40 to 50% of English vocabulary comes from French, therefore making it a real cultural bridge between southern Europe and northern Europe ! Speaking French grants you the luxury of being able to study from an early age in almost 430 French schools in 130 countries ! Almost everywhere you will go, you will be able to find French institutions where you can enroll. Then, speaking French is a good way to enter prestigious institutions recognized worldwide and study in renowned schools such as Polytechnique, Sciences Po, ESSEC or HEC, as well as in the Sorbonne and Pierre and Marie Curie Universities. 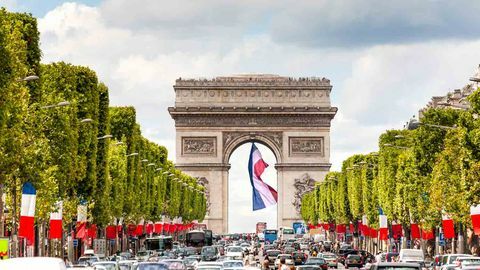 Fifth commercial power and fourth for welcoming foreign investment, France remains a rich country with a mature and stable economy, not to mention other countries such as Canada or Switzerland, which are among the most developed states in the world. Speaking French thus enables you to trade more easily with these influential partners, or even offers you the opportunity to directly make a career in these countries. Automobile (Peugeot, Renault), food & beverages (Danone), banking and insurance (AXA, BNP), construction (Bouygues, Lafarge), supermarkets (Carrefour), high technology (Airbus, Cap Gemini, Veolia), energy and raw materials (EDF, GDF, Total), luxury (L’Oréal, LVMH), tourism and hospitality (Air France, Accor)… France is full of world class companies. Poets, philosophers, novelists … brilliant inventors and scientists, but also famous artists and creators of all kinds, it would be endless to list the French personalities who have influenced the course of History by their genius. Learning French is then having access to their works in their original form, and opening up to one of the richest and most complete cultures in the world. Whether you are fond of fashion, gastronomy, art, or other things, no doubt that you will find your happiness in learning French ! Find now a French Tutor at l’Atelier in HCMC ! to keep up to date with imminent post. Thank you 1,000,000 and please keep up the rewarding work.